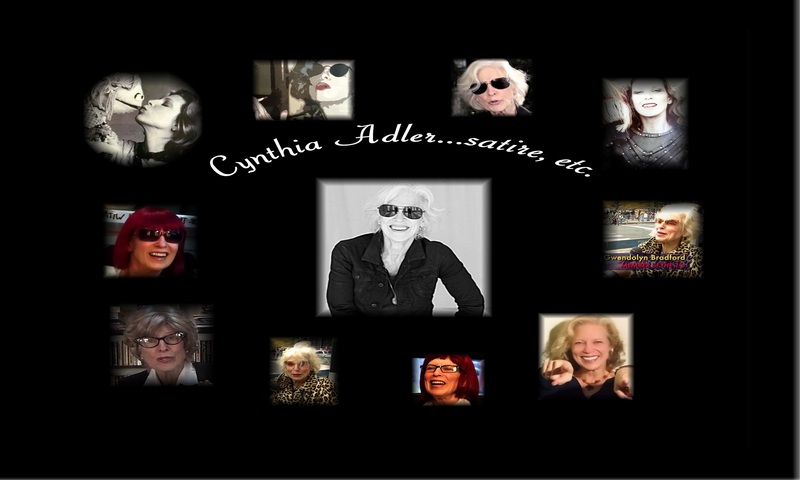 Welcome to the Cynthia Adler Satire site! What I love most to bring to this life, is my socio-political satire and my writing. I love people. I love to make them laugh…I love to bring truth out in a funny way, so that they start to think about the issues that I am satirizing. It starts a conversation. And I love a good conversation.